Highland arranged the $20,000,000 Land and Infrastructure Loan to make the land ready for vertical construction. Site improvements include connecting utilities, relocating part of the railroad, building out parking, pathways, and streetscapes, and building new roadways, one of which will be to connect Donner Pass Road through the new development to the current Downtown of Historic Truckee. 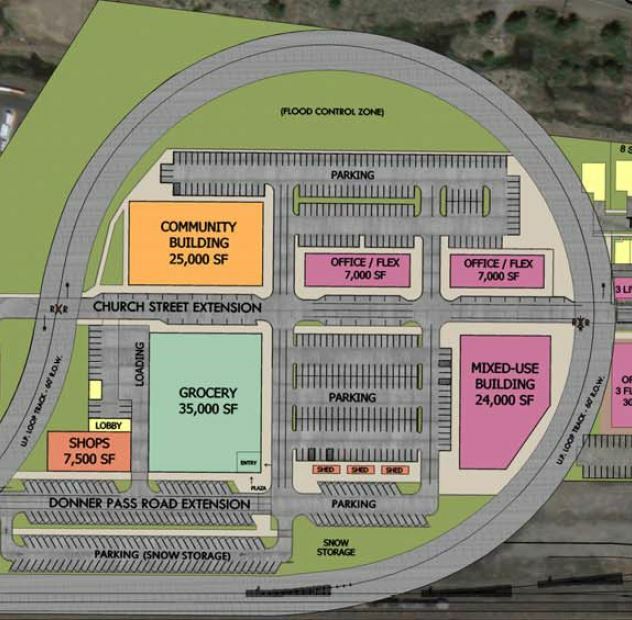 Truckee Railyard is fully entitled with a recently approved development agreement which will allow for up to 950,000 square feet of mixed-use space. Built in three phases, its components will include 46 units of residential condominiums with retail or possibly a 100-key hotel, up to 415 for-rent or for-sale units, 77 affordable artist loft units, 105,000 square feet of retail including a grocery store and brewery, a 750-seat movie theater, and 40,000 square feet of office and civic center space.